Spring 3.0 introduced the @Async annotation for executing tasks asynchronously. The asynchronous capabilities are highly useful in situations where we need to execute a long running task before allowing user input. For example, every time we open a Gmail message with attachment, Gmail performs a anti-virus scan before showing the download link to the user. In this blog post, I will kick off a long running report asynchronously. 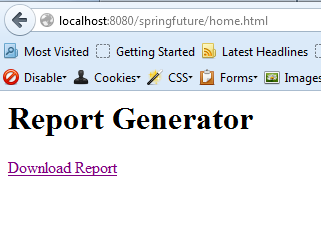 Then I will use JQuery to periodically check if the report has been created. When the report is finally available, a link to the report is shown to the user. We start by creating a ReportService as shown below. 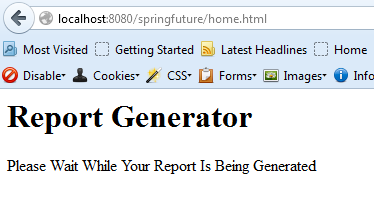 The generateReport method returns java.util.concurrent.Future interface. This interface allows the caller to retrieve the execution result at later time. The report service implementation is shown below. 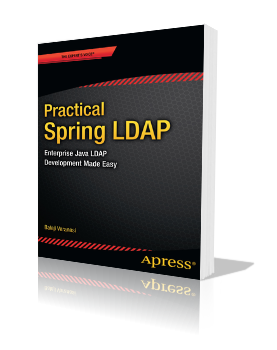 We simulate the “long running process” by calling the sleep method on the current thread. The method returns AsyncResult instance with the newly created Report as pass through value. 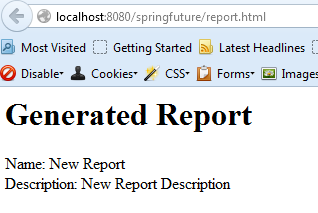 Now that we have completed our service layer, let’s create an MVC Controller that uses the ReportService to create a new report. The new report is then saved in the user’s session. To this controller, we then add a method that returns the status of the report generation. The method implementation simply retrieves the Future object and invokes the isDone method to check the status of the running task. We finally tie everything in the home.jsp view that gets returned by the showHome method. 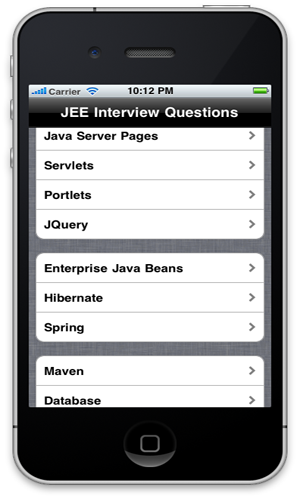 In the home.jsp, we use JQuery’s setInterval method to call the reportstatus.json URL every two seconds. Once we get the “COMPLETE” response, we show the download link.